For soccer fans in San Jose, Quakes matches are the place to be. The Bay Area’s Major League Soccer team, competing in the sport’s highest level in the United States and Canada, has a long history in the area and has been entertaining their passionate fan base since 1974. 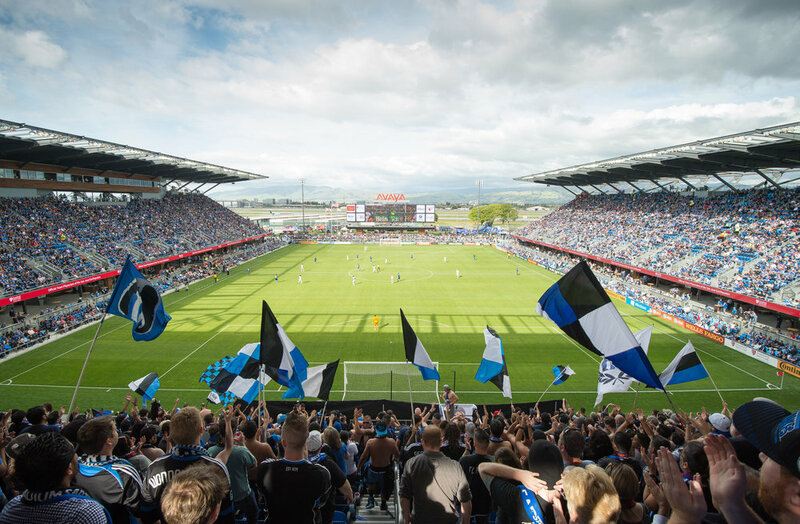 Raucous crowds pack the 18,000-seat Avaya Stadium during the team’s season from March to October, and the TCL 4K Bar located inside, which is the largest outdoor bar in North America, has become a favorite local watering hole. There are several events in San Jose that the Quakes are looking forward to this year, starting with the season opener on March 3 against Minnesota United FC at 7:15 p.m. Leading up to kickoff, the Quakes will host a March To Soccer week filled with activities in the South Bay, including activations in San Pedro Square Market and other iconic San Jose locations. More details will be announced soon. Extending to the Bay Area, on Sunday, Feb. 11 the Quakes will unveil their new jersey and mini-pitch at Hornet Field in Alameda, Calif., presented by Sutter Health. The event will start at 10 a.m. and will conclude at 3 p.m., with the unveil taking place between 11 a.m. and 12 p.m. The event is poised to include many surprises and Quakes players will help unveil the jersey, sign autographs and take photos with fans. Two mini-fields, an inflatable goal and slide, a Quakes photo booth, food trucks and the giant SJ74 letters will also be onsite. For a complete list of all the Quakes matches in 2018 and events with the club, visit www.sjearthquakes.com. In the spirit of love that is associated with this month, we are running a series of guest blog posts from our SVO members who offer all their reasons to fall in love with San Jose. Be sure to check back to learn more about this great city and share your suggestions to fall in love using the hashtag #HeartofSV.